Ok, I used to have lots of blogs. But then I decided to just combine them into one. The legacy ones haven't been updated since, well, since I decided that. This is not one of my things, but apprently there's a Newsradio podcast! Alright, here's all the old Freakzilla stuff that's been here for over a decade. It's pointless and nobody gets the office copier thing, but what the hell. It's been another long, hard day at work, and once again, you weren't noticed and/or appreciated. The fizzy red-haired receptionist doesn't even answer the phones, but the boss likes her more than you anyway! You just want to end it all, but once again you've misplaced your cyanide pills. The only thing you have at your disposal is a regular office copier. Well, thanks to Nick, your worries are over! Not only can you finally, painlessly (kinda) take your own life, you can also leave enough of a mess in the office that'll leave the staff paranoid and suspicious, and will totally ruin the electro-technician's self-confidence! Yes, step right this way for the Office Copier Assisted Suicide instructions! 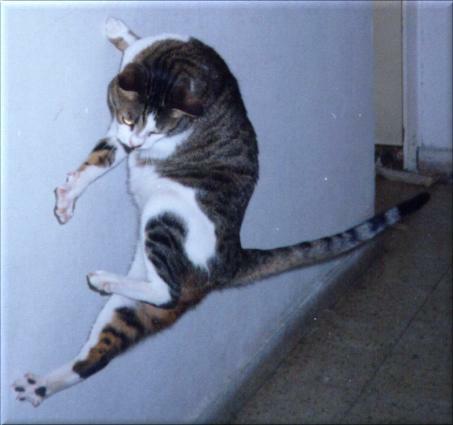 You know 'em and love 'em: the Freakzilla Cats. 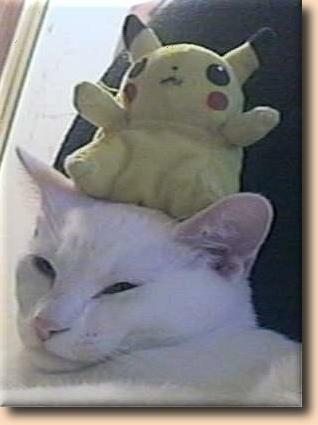 A cat with a Pokemon on his head.